Financial markets were mostly flooded with bad news like downward growth revisions etc. It is strange to see how sometimes these headliners are related to the market moves while at other times they are just thought to be already priced in – case in point the V-shaped recovery in U.S stocks & no significant price reaction of Cryptos to the delay in Bitcoin ETF approval & Ethereum’s much-anticipated upgrade. Will talk about these issues in detail later, but first a look at the weekly numbers from global markets. Cryptos spent most of the week trading in a choppy sideways range although higher lows are in place at the time of writing. Well, there are good news & bad news. Good news is that the immediate bearish pressure has subsided & even the bad news didn’t precipitate any downward move. However, we all know too well by now, how volatility can magnify the moves in digital assets. Coming to the bad news, two of the most anticipated & widely watched events in the Cryptoverse got delayed further. First one is the VanEck-SolidX bitcoin ETF – who have temporarily withdrawn the proposal from U.S SEC. The move was necessitated by the continued U.S govt. shutdown which has been temporarily resolved at the time of writing. The story goes something like this – the SEC had until Feb. 27 deadline to make a decision on the ETF as per the rules, but since the U.S government was shut down for a record time period, processing got halted. And while the ETF would have automatically gotten approved by the deadline date, the SEC could have easily put restrictions on its trade since it’s become such a high stake product right now. To avoid all the confusion & the back and forth the investment firm behind the ETF proposal decided to pull it off temporarily till the time SEC starts functioning again. It was a little unusual to see Bitcoin price not reacting much to this major development as you can see in the chart below. I guess as they say, it has already been priced in! The other interesting news was the delay of Ethereum’s system-wide upgrade Constantinople. The proposed hard fork which was planned for mid-January has now been delayed to somewhere between Feb. 26-28 by the core team of developers. The delay was caused by a security vulnerability in one of the five Ethereum Improvement Proposals (EIPs), found by the smart contract audit firm ChainSecurity. The vulnerability affected proposal would now be excluded from this upgrade – will be tested & included in the subsequent upgrades. Looking at the BTC chart, the ST bullish consolidation continues to hold the current pattern. The crypto kingpin is trending in the consolidation zone ($3600-$3680) at the time of writing. A break of either boundary would dictate the next move. Total market cap stands @ $120 billion with BTC dominance of 52.4% when the article was published. Here’s an interesting statistic about how centralized exchanges still control the majority of trading volume in the Cryptoverse despite an impressive growth in Decentralized Exchanges (DEX). The continued resilience & muted reaction from adversarial news, U.S stocks are shaping in what looks like a V-shaped recovery as you can see in S&P chart below. No breakthrough in U.S-China trade talks, longest U.S govt. shutdown & magnifying fears of a global slow down led by China is apparently having no effect on the recovery. 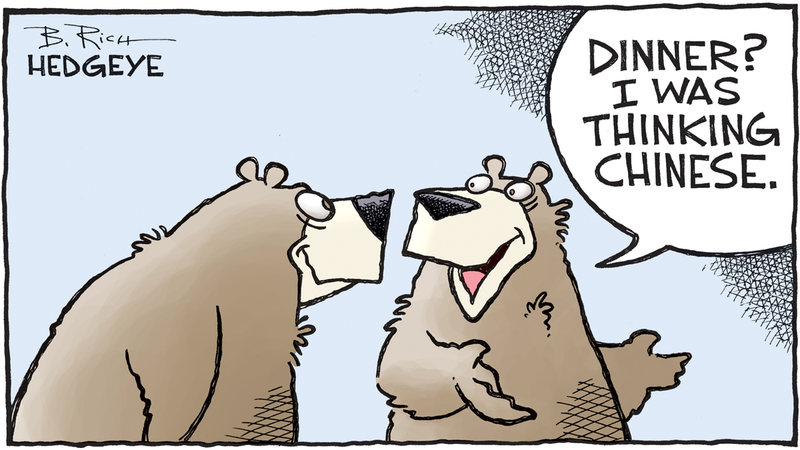 The good thing last week was a significant drop in volatility as well. Either the investors have a huge faith in U.S economic revival or it could be the calm before the storm. 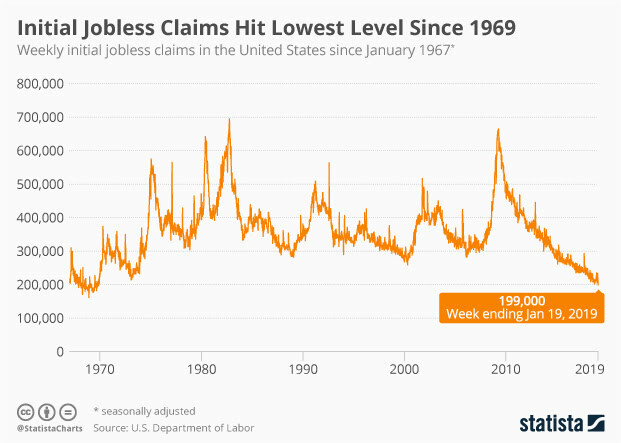 The optimism is derived on factors like one of these statistics which shows how Initial U.S jobless claims have dropped to a 49 year low. While the weekly market numbers were close to flat but the bigger picture of the past 4 weeks presents a different story. The recent downward revision to global growth by the IMF from 3.7% to 3.5% is based on the negative impact of widening trade war, Brexit & a steeper decline in Chinese growth. With the ultra-dovish rate holds by the ECB (European Central Bank) & BoJ (Bank of Japan) & the announcement of China’s impetus plan for financial markets pointing towards recessionary pressures ahead, I wonder if U.S markets & economy in particular is going to be able to ward off the risks. Looking at the benchmark S&P 500 index chart, the V-shaped recovery that I was talking about earlier is pretty evident. The index is, however, still hanging perilously close resistance turned ST support. If the previous high is breached here next week, we could be headed to more sustained gains. On the flip side we could see some extended consolidation around this level. In Forex, the Dollar Index (DXY) sustained the gains from the week although there were ST reversals in almost all USD Majors on Friday. Most of the Major central banks around the World are already sitting on their hands with the global economic slowdown on the horizon. The Greenback had been driving strength from a hawkish Fed for the most part of 2018. With the economic risks building, however, FOMC has softened their tone which could eventually mute USD gains. DXY is still honoring a ST bullish channel from the earlier low (figure below). The spike came from the EURUSD’s heavy fall after the dovish ECB rate hold. Considering the turn in sentiment on Friday, market open next week should see USD trade at lower levels. A break below 95.65 would confirm the resumption of a downward trend. With temporary resolution to the U.S govt. shutdown now in place & Chinese delegation arriving in Washington on Monday to further the trade talks, next week would give a little more direction to the markets. There are some key data releases scheduled for next week – FOMC rate decision, NFP Job numbers, Goods Trade balance, GDP, ISM & Consumer Confidence from U.S, CPI & GDP numbers out of Euro, CPI & Job numbers from Australia, Canada’s GDP & finally Chinese Manufacturing PMI. Signing it off here with his comic depiction of how Chinese economic slowdown is stoking the fears of the investors.